I had gotten this from a L'oreal bloggers event previously. 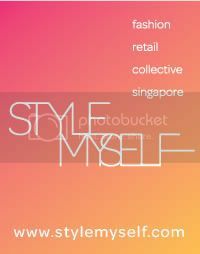 I've tried it and I love it but just did not have the time to blog about it back then. 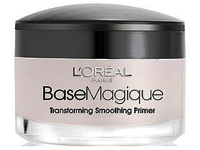 A make-up base or primer helps makeup stay on longer and also conceals blemishes and flaws. 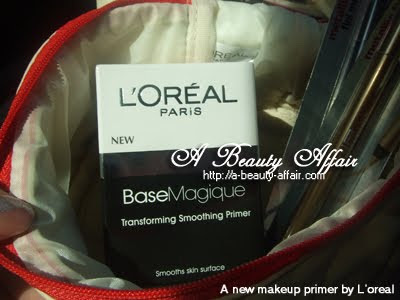 What is interesting about the L'oreal Base Magique is its unique velvet texture. It is kinda starchy to touch and reminds me of mashed potato. Crazy, I know. This may seem like a really tiny tub but a little goes a long way with this makeup primer. It is recommended that you take alittle of the product and rub it between your fingers to ease the spreading. 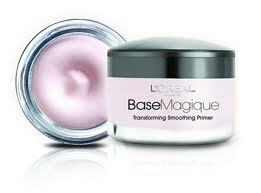 Next, apply a thin layer evenly over your face, focusing on areas with fine lines and visible pores. This makeup primer hides flaws and also creates a smooth, natural-looking canvas that is perfect for makeup. Makeup stays on for hours and it does a pretty good job with oil control.